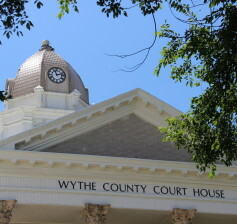 WYTHEVILLE, Va. – The Virginia Department of Housing and Community Development has approved Wythe County’s request to renew and expand the county’s enterprise zones. The Virginia Enterprise Zone program is a partnership between state and local government that encourages job creation and private investment through special incentives and grants for businesses wishing to expand their operation in the Commonwealth. 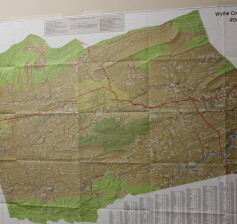 WYTHEVILLE, Va. – The Wythe County Administrator’s Office has unveiled the 2015 Official Wythe County Road Map. In addition to including all named roads in the county, the 27” x 40” map includes other details such as an index to county facilities; these facilities include solid waste & recycling centers, county libraries, schools and emergency services buildings. Displaying the route of the popular New River Trail, a 57-mile linear state park that follows an abandoned railroad right-of-way, as well as elevation markers and detailed views of area communities, the maps are certain to appeal to a highly diverse audience. 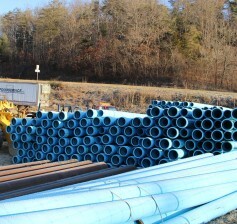 BARREN SPRINGS, Va. – Work is set to begin in just a matter of days on the Barren Springs Waterline Extension, which will provide reliable drinking water to residents in the Barren Springs community. According to county officials, construction on the waterline is set to begin in the opening days of January and is slated to be completed within a year’s time. The Wythe County Board of Supervisors has made completion of this project one of its primary objectives for 2015, as dozens of households in the community are presently without reliable drinking water.